Surely you must know the news: Steam announced that it will get rid of Steam Greenlight for good very soon. According to their announcement, this spring Valve will substitute Greenlight with Steam Direct, which will impose a “recoupable fee” per every game you publish there. The actual amount of that fee is still to be determined – they just said that they asked for feedback and received a wide range of possibilities, from $100 USD to $5,000, and they have not decided anything yet. If this is good news or not, it’s a matter of opinion. At the very least, something had to be done: Greenlight never worked very well and Steam is a mess for indie games. With 20 games published per day by average and as many games in the last year as in the entire Steam history, reaching out to your potential buyers is a living hell. The infamous “indiepocalypse” still could happen just because of stock surplus: revenue is stretching thinner and thinner between thousands of games, and not all of them are up to a minimum standard of quality. Great games have to compete for attention with exploitative developers (those who publish bad games or plain copies hoping to get a dollar or two out of absent-minded buyers) and amateur projects (which are good, mind you – but maybe Steam is not the right place for them). That’s just unsustainable in the long term. We have asked around to some indie devs and they are generally OK with the idea (although they are still waiting for the fine details). 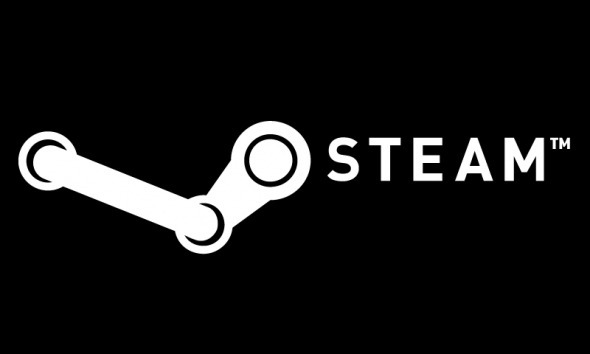 Everyone agree that Valve should so something with Steam, and the sooner the better. Some said that it’s a shame that this filter is set by money and not quality, stating that Valve should instead hire curators to separate the wheat from the chaff. But the major part pointed out that setting a small economic barrier is a good way to reduce the noise and discourage My guess is that this new fee will be recoupable via sales: Steam might give up their usual share until you get back that fee. That way, you will think twice before sending a game if you know for a fact that there’s no way in hell that you can sell, say, $1,000 worth of copies of your game. Anyway, until we know the small print of this new Steam Direct, we should wait and see. In the meantime, we just want to remind you that Steam is not the only store out there, even though it’s obviously the bigger. Maybe you want to publish your game in as many stores as possible. Or you prefer being in a smaller place with higher visibility, or it’s a small side project and you can’t be bothered with all the paperwork for publishing there. Or maybe in the future you can’t afford the Steam recoupable fee and you start looking for alternatives. Whatever the case, we want to offer you some alternatives to Steam, and a tip or two on how to publish your game there. Since Gog is the main competitor to Steam (by a far distance, mind you), they are the most obvious alternative. you may know, Gog has a different philosophy than Steam, and your game will be DRM-free. Apart from that, there’s just one other requisite: they don’t accept F2P games or games with microtransactions of any kind. If this is an issue for you just stay away from them, this is not negotiable. That said, the good thing about Gog is that you don’t need to have a publisher or pay a fee. They curate their content and they consider every game that goes through their submission process. If you want to publish a game in Gog, just go here, read their FAQ and submit your game. Humble became popular thanks to their Humble Bundles, but since they opened their doors back in 2010 they have diversified to become a store for all kind of games and even ebooks. A couple of things you should know: even though being DRM-free is not compulsory, they prefer that approach; and all revenue is split 3 ways (75 % to devs, 10 % to charities and 15 % to Humble Bundle itself). They also offer the Humble Widget, a tool you can host on your website to sell directly by yourself your products. If you want to publish your game in the Humble Store, sign up here. Check out their FAQ for more info. A distribution platform specialized in indie games, this niche store has a great advantage: you can rely on their audience being interested in indie games. They offer different plans: a place in the Indie Game Store (75 % gross revenue for devs), pay-what-you-want deals with 70 % of gross revenues, distribution for free games and demos and even a widget for direct sale on your website (with just a small 5% cut). You can find more info in their FAQ and submit your game here. Itch.io is in fashion: this store has growth quite a lot in the last months, mainly because of their involvement in game jams and the great deal of control that offers to developers. It lets you custom your game page, distribute them for free, publish them as pay-what-you-want with a minimum price and even host embedded Flash, Unity, Java and HTML5 games. You get to choose what percentage of your sales go to them. You can create and account to submit your game here. There are more details in their FAQ. GameJolt may be best known as a platform for free games, but it also features its own marketplace — and one with very good conditions. You can choose pay-what-you-want or fixed prices and set the percentage that goes to GameJolt, as long as it’s less (yes, you read that right) than 10 %. They accept games in development with early access, and you can also sell assets from the game such as artwork or the OST. Definitely worth checking! (Thanks to Edu Cueto and GameJolt creator CROS for this contribution to this post!). …and of course, you could sell your game on your own website, although unless you have a very big and engaged community, we recommend you not to rely solely on this. As we just mentioned, there are a few stores that offer you widgets to deal with the card payments. You can also use payment platforms such as Paypal or Stripe (we highly recommend Stripe over Paypal, though: it’s cheaper and it doesn’t have any hidden fees). Here you have the main alternatives to Steam for indie games. There are other stores like Green Man Gaming but, to be honest, they present similar problems than Steam without any of its advantages. Nevertheless, if you want a list of other alternatives, check this wonderful post from Buy Some Indie Games (and follow them, they run a great blog!). We hope this is useful for you; stay tuned to our blog, we will keep you posted about Steam Direct when we learn more about this new system. If you need some help to get your game published, let us know! And if you know of any other store that you think we should add to this list, let us know in the comment section!